The Czech athlete won with 32 hits. USA’s Sanderson and Spain’s Llames followed in second and third securing the Olympic Quota Places. 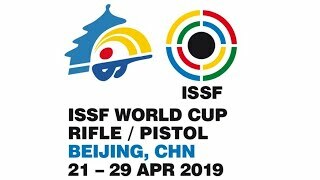 Czech Republic’s Martin Podhrasky won his second consecutive world cup gold medal, today, by finishing in first at the 25m Rapid Fire Pistol Men event at the ISSF World Cup in Changwon, Korea. 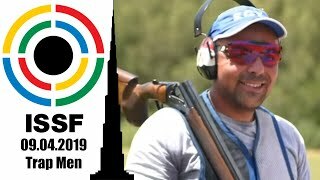 The 27-year old shooter pocketed the brightest medal with 32 hits in the final, after qualifying for the match in fourth with 581 points. 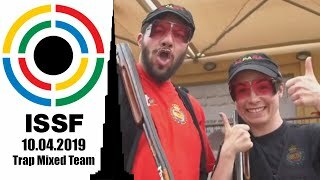 Podhrasky had won also the first step of this year’s ISSF World Cup Series, two weeks ago, in Sydney. Following him in second today, USA’s Keith Sanderson claimed the Silver medal with 28 hits. 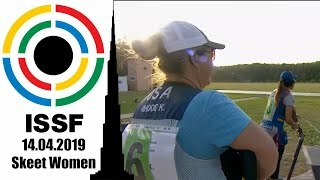 The 36-year old shooter also secured an Olympic Quota Place, a pass to the 2012 Olympics. Sanderson had finished in second also at the 2009 ISSF World Cup Stage held here in Changwon. The Bronze medal and the second Olympic Quota Place went to Spain’s Jorge Llames, the 2009 European Champion. Llames, 32, climbed up the scoreboard from the fifth place he had on the start list (he qualified with 580 points) finishing on the third step of the podium with 20 hits in the final. The first to leave today’s final after the fourth series was Russia’s World Champion Alexei Klimov, the current n. 1 in the world in this event. 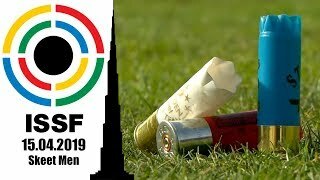 The 35-year old athlete did not shoot at his best, and was also penalized with a 2-point deduction during the final. He ended up in sixth and last place with a score of 12 hits. Following him, Vietnams Ha Minh Thanh was the next to leave the match after the fifth final series. Minh had led the qualifications, making it into the final with the highest qualification score (582 points). But with the new competition format, the qualification score does not help, as the score is set back to zero at the beginning of the final. Fighting first against Klimov, and then against Bondaruk, he closed the round in fifth with 14 hits, while Ukrain’s Roman Bondaruk placed fourth with 18 hits.